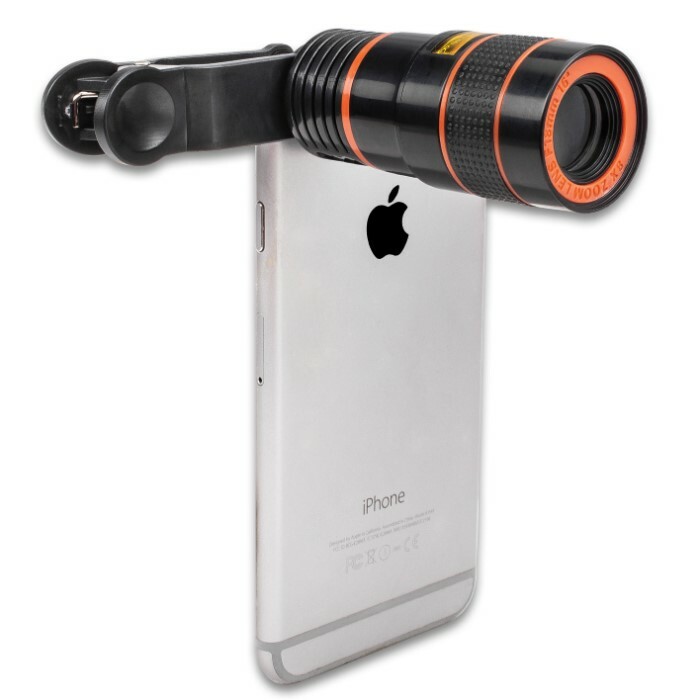 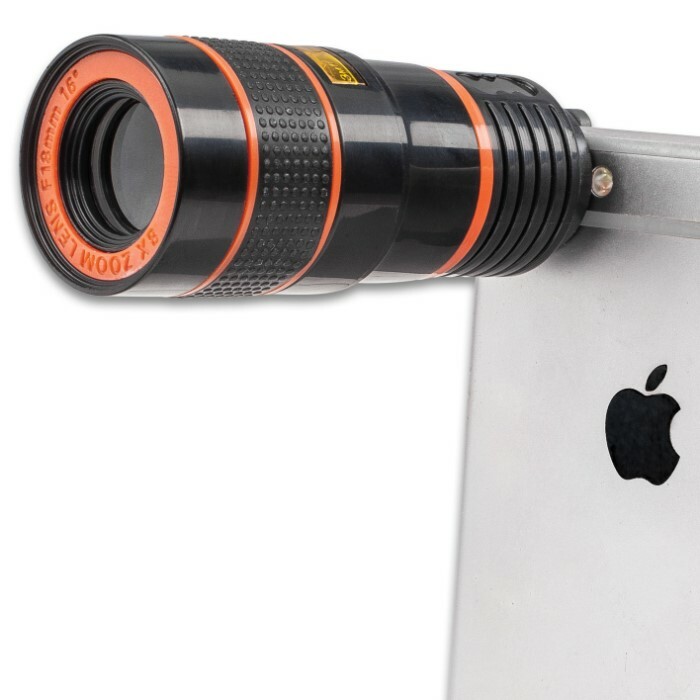 Simply clip our Universal Cell Phone Zoom Telescope over the lens of your mobile phone’s camera and actually turn your phone into a telescope! 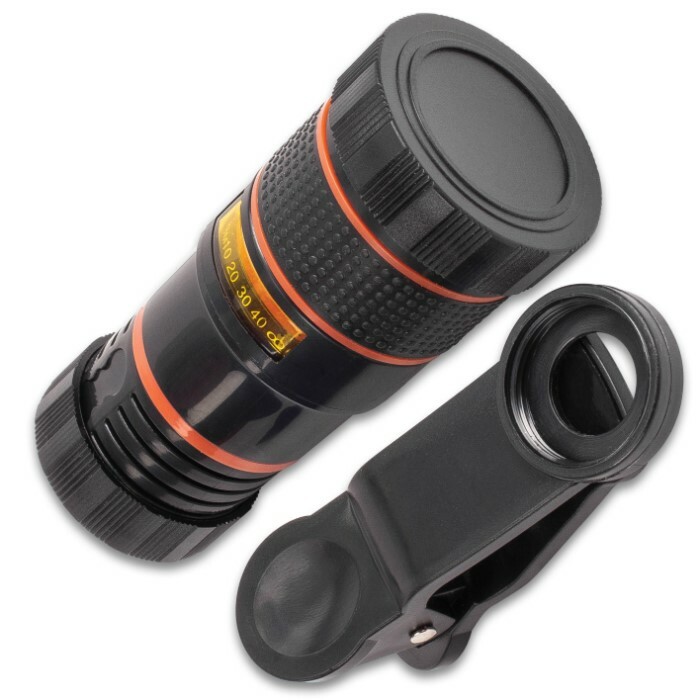 The zoom optical lens will give you 8X magnification with a minimum focus distance of 3 meters and a 246-meter field of view. 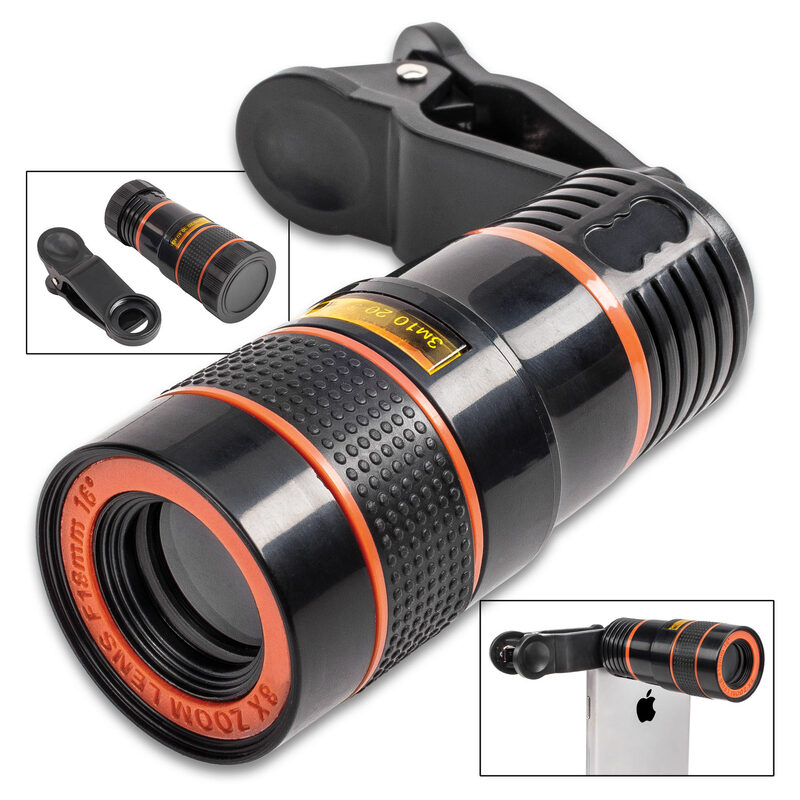 This cell phone telescope can also be used on a tablet or as a standalone monocular. 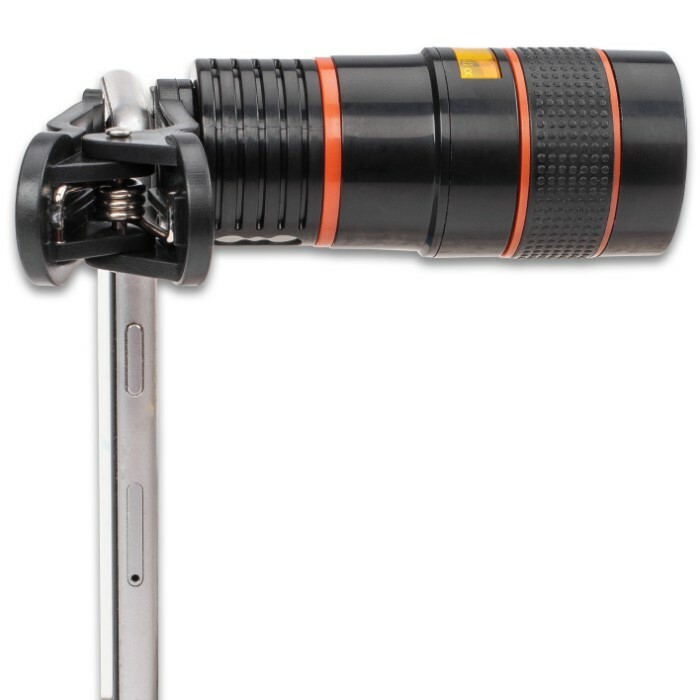 Included with the zoom lens is the clip attachment, lens caps, a cleaning cloth and carrying pouch.